Click to enlarge gallery images. . . This real estate listing is currently for sale in Yerington, NV This is a Lots and Acreage property located at 230 N Main Street, Yerington, NV, with 0 bedrooms, 0.00 baths, and approximately 0 sq. ft. area. Prime commercial lot with 100 feet of Main Street frontage in downtown Yerington. Water & sewer hookup fees have already been paid. TahoeHighSierra.com ©1995-2018 Aufrance Associates Lake Tahoe, NV - All Rights Reserved. Contact us. TahoeHighSierra.com is a Lake Tahoe business, travel and visitor guide for the Reno Tahoe Mammoth area and is not the property of or affiliated with other entities that may bear similar names or any other manufacturer or service provider other than this web site. All registered trademarks and copyrights on this web site are the intellectual property of their respective owners. All other trademarks acknowledged. We do not claim ownership of any of their trademarks or any relationship with their owners. This applies to HighSierra.com which is registered to Samsonite and other products and services with the prefix High Sierra in the registered trademark. 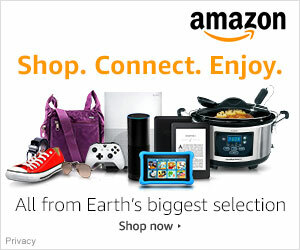 We are an official participant in the Amazon Services LLC Associates Program, an affiliate advertising program designed to provide a means for us to earn fees by linking to Amazon.com and affiliated sites.